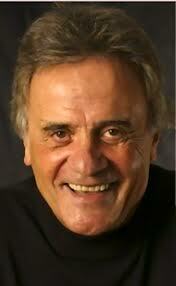 Terry Kiser, Actor, Omaha, NE. Terry Kiser was born on August 1, 1939 in Omaha, Nebraska.Â He graduated with a degree in Industrial Engineering from the University of Kansas and worked for three years in this profession in his hometown of Omaha before turning his attention to acting. Best known for his role as the deceased, but still active Bernie Lomax in the “Weekend at Bernie’s” films, Kiser is a versatile character actor who has appeared in numerous film, television and theater productions. On Broadway, Kiser received a Tony nomination for his role in the Neil Simon comedy, â€œGod’s Favorite.”Â He also received an Emmy nomination for his moving portrayal of an AIDS patient in the M*A*S*H spin-off, Trapper John, M.D.Â Currently, Kiser runs the Actors Arena in Austin, Texas.